The wave of Facebook selfie pics that started in Britain quickly hit American shores. 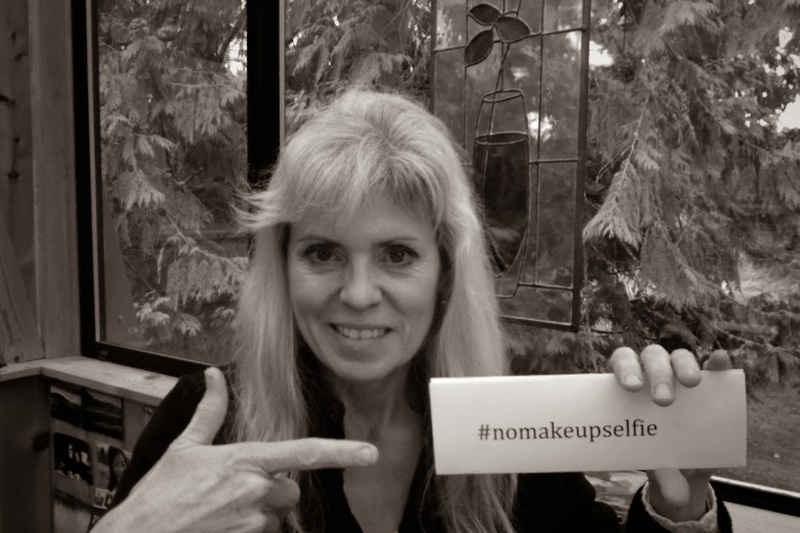 #nomakeupselfie photos flowed over social news feeds. Women tagged their girlfriends to show support for cancer research. But it didn’t take long for the antagonists to complain that it was all useless narcissism—arguing that money will cure cancer, not selfies. For those selfie haters, the British campaign used text message donations to support Cancer Research UK. Within 48 hours over a million dollars was raised. Here in America, the #nomakeupselfies aren’t about money; it’s baring our faces for the love of others. We care about those who’ve faced a debilitating disease. The American selfie exhibition reflects a bare-naked truth—we all use some sort of make-up to cover ourselves. Sure, women like cosmetics and clothes, but we all cover ourselves with hopes, goals, and a future filled with our plans and expectations. Cancer strips off the coverings. Cancer bares our fears. It forces us to face the reality of our limited earthly journey. Yes, cancer is the ultimate #nomakeupselfie—revealing the reality that we aren’t really in control. It often brings us much closer to the One who is. The American #nomakeupselfie campaign doesn’t need to raise money if it helps us realize how precious our lives can be—not for our selfie-selves, but for those we love and share our lives with while we are here. And in memory of my mom who lost her battle to breast cancer, a bit of her wisdom: Make-up on the outside will never make up for what's on the inside.